Veselka Hostel is situated in the historical house (1903), just one minutes walk from famous Zoloti Vorota (Golden Gates), Opera and Ballet Theater and St. Sofia Cathedral. We was opened in June 2014. The hotel/hostel takes all the upper floor of the four-storied building. 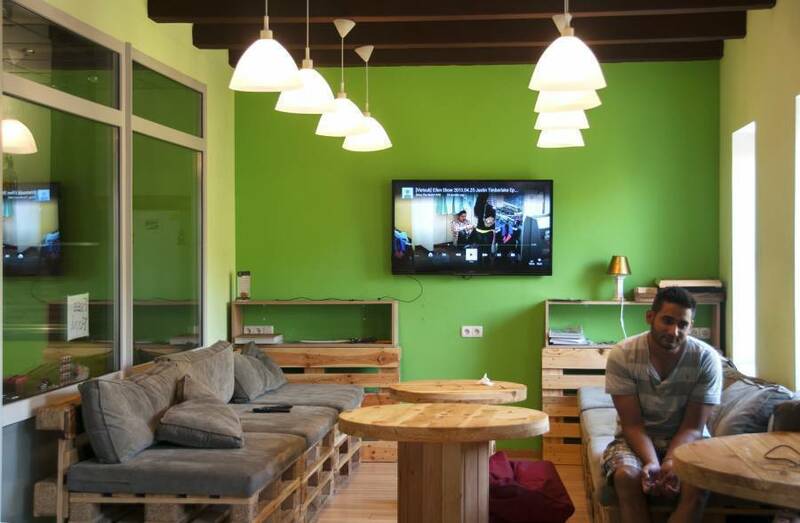 We created like cosy and comfortable place for our guests. There is an absolutely equipped and fully staffed kitchen and a room for our guests’ common recreation made in an original design. The rooms have cable TV and air conditioners. 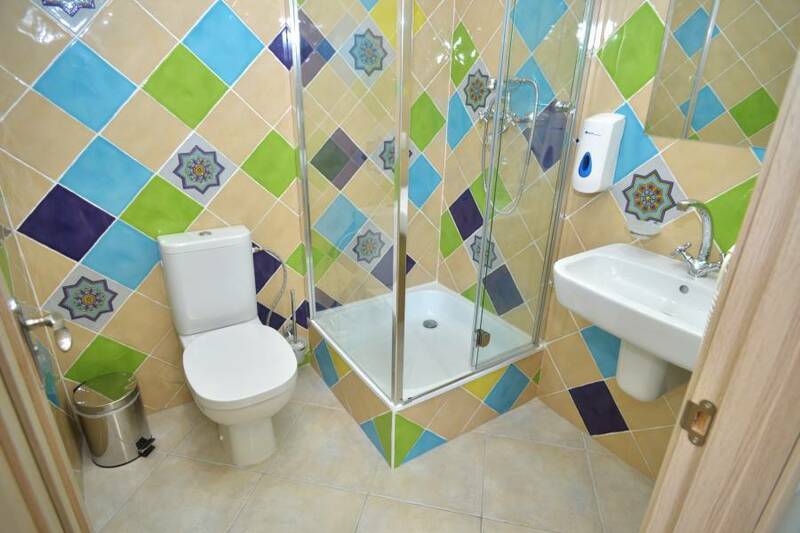 We have have rooms with private bathroom and rooms with shared bathroom facilities. All the rooms at Veselka are decorated in modern style. The hostel can also arrange nighttime tours of Kiev, walking tours, movie nights and other fun activities. All of them are equipped with air-conditioners. 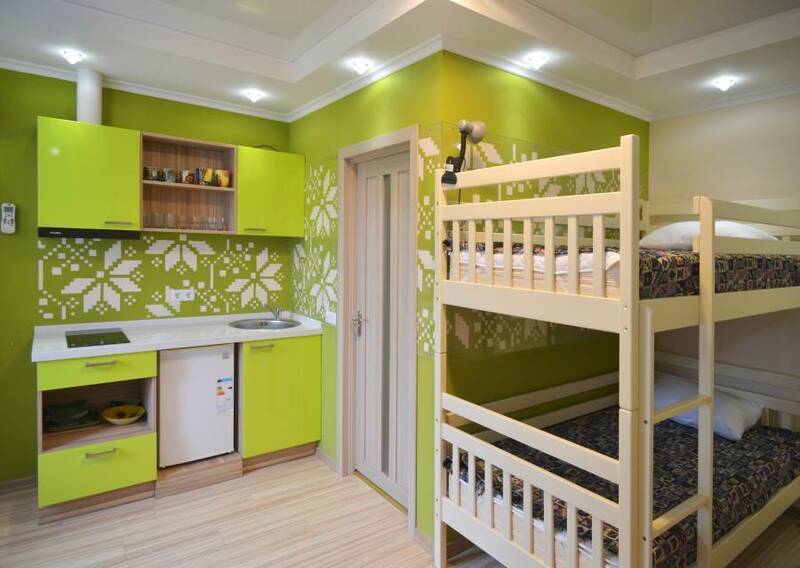 All the rooms have ecological with orthopedic mattresses to make your sleep sound and healthy. We may accommodate large groups up to 54 persons. Bed sheets and linen are provided and all rooms and all rooms come with security lockers. From Train Station: By public transport: Take a metro. Go to the Teatralna station (2 stops) and change the line to the Zoloti Vorota station and go up the escalator to Vladimirskaya Street.